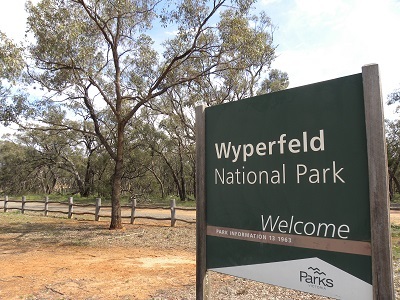 It was good to go back to Wyperfeld National Park. I have camped at the Park on two occasions back in 1971 and 1972, for work. 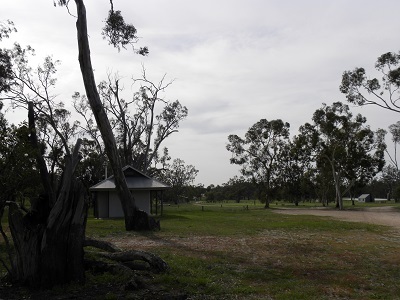 There have been many changes, sealed roads, amenities blocks, walking paths and an information centre. It is looking great at the moment after all of the rain. I had contacts with fourteen stations, pretty good for a Monday with all the workers back at toil! At 00:03 my first contact was with Ron, VK3AFW and then Peter, VK3PF: for both of these operators their first contact with a Wyperfeld station. Then followed VK5PAS/p, Paul on VK3013; VK5FMID, Brian; VK3AMB, Bernard; VK5LI, Craig; VK5ZAI, Tony; VK5DJ, John; VK5HS, Ivan; VK3AHY/p, Geoff at Beechworth; VK5PAS/p, Paul who wound his power down to one watt for a difference of one S point; VK3FJAE, Doug; VK3UBY, Col and VK5LY, Larry.